PDP crisis worsens as Sheriff pulls out of Jonathan’s reconciliation move – Royal Times of Nigeria. 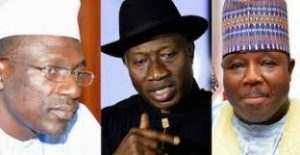 The Chairman of the Peoples Democratic Party, Ali-Modu Sheriff, has said he is pulling out of the reconciliation move of the former President Goodluck Jonathan to resolve the party’s leadership crisis. 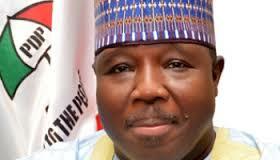 Mr. Sheriff in a statement signed by his Deputy National Chairman, Cairo Ojougboh, issued on Thursday in Abuja, said this was to enable his National working Committee focus on repositioning the PDP. He said that the reconciliation moves initiated by the former President has finally collapsed, alleging that the move has been hijacked by the Ahmed Makarfi-led National Caretaker Committee. Mr. Sheriff also stated that his NWC has postponed the party’s National Executive Council meeting scheduled for the fourth of May indefinitely, adding that a new date will be announced later.